I am temporarily on hiatus and expect to be back in the near future. In the meantime, click on the "Follow" button so you are notified when I return. Looking forward to providing you with new shows soon. 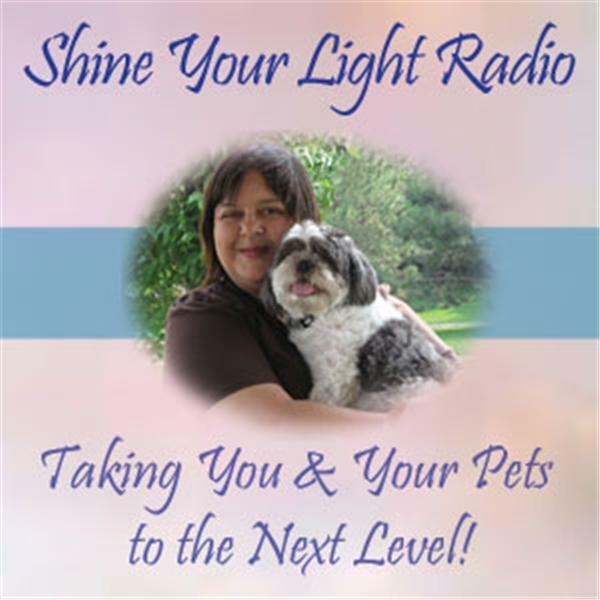 Welcome to Shine Your Light Radio - the radio show that takes you and your pets to the next level! I am your host, Karen Harkness - a Holistic Wellness Practitioner for people and their pets. Each week here on Shine Your Light Radio we’ll take a look at a variety of topics on Holistic Healing, Health & Wellness, Personal Growth and Spirituality which together encompass all three levels of healing in body, mind and spirit. At times we will explore our connection to the animals in our lives and how our state of wellness in body, mind and spirit affects them and what we can learn from them as our teachers and healers. Along the way there will also be lots of great guests who will share their experiences and wisdom with you on a variety of topics. Be sure to tune in each week so we can help you to enhance your wellness and Shine Your Light!